For as much as bitcoin has grown, the technology is still being developed by a core group of insiders. Anyone can submit a pull request, but only a select few have the power to merge code into the official repository after a consensus. These people include Andresen, Garzik, Wieulle, Greg Maxwell, Wladimeer van Derlin, Mark Carpelis, and Neal Schneider. Schneider and van Derlin are former developers who haven’t been seen in some time. The rest have had some long-standing involvement with the community. “One of the big issues is merged mining,” said Waters. It was something many of the pool operators were pushing for. Such pools allow users to combine their processing power as to mine bitcoins as one single entity. What happens is that it gives the operators of those pools plenty of political power. “This is a problem,” said Waters. “There are only a few pool operators and only a few pull requests that benefit them.” But given their political weight, there’s a higher chance those changes get added. Even though Satoshi Nakamoto has yet to reappear since his enigmatic disappearance years ago, some within the community believe he’s still watching and could come out of hiding if he believed things were going awry. 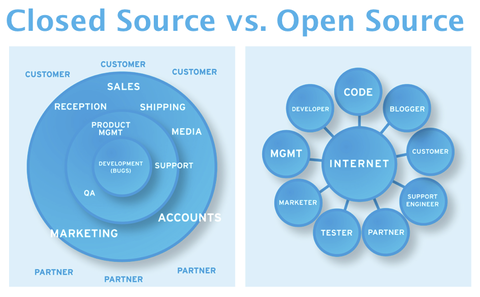 In many cases, closed source has usually beat out open source head to head. Think Diaspora versus Facebook or Open Office versus Microsoft Office and Google Docs. So why bother with this kind of approach? We need to look no further than America’s own political stalemate to realize that democracy has its weaknesses. For one, the idea of democracy is, in reality, often not very democratic. Bitcoin development still relies on voluntary altruism. And as those in the community’s upper echelons continue to consolidate their power of an ever-expanding empire, there is always the chance for power to corrupt. It’s a nice thought, but guys like Washington are more likely to be the exception than the rule. And in the world of mathematics and theories, someone still needs to make the final call. “We don’t have absolute answers,” said Waters. “We just have probabilistic answers. And so, we still invariably rely on people to step up, accept that responsibility, and make the final call.” In the end, someone has to bring the ring to Mordor. There could also be selfish motives in conscious silence or inaction. “If there’s something malicious going on, but it benefits me, I might not be outspoken about it,” said Waters. “We’re also seeing people development alternative software to the primary Satoshi client, such as Electrum and Armory” said Waters. “Instead of just having a steam engine, now you have a steam engine and a combustion engine. But the biggest lesson of all? “We’re starting to see that with bitcoin,” Waters said. “People are starting alternative chains. It’s the largest social experiment to happen in our lifetime. Bitcoin: How Does It Work, What's It Do, and Is It a Drug-Fueled Money Laundering Scam Bubble?